Ninety percent wind penetration? Powercorp is doing it on small grids Down Under. ABB wants to control solar and wind power, and it has bought up Australian power automation company Powercorp to help it get the job done. Powercorp specializes in controls to manage renewable energy in isolated grids, allowing for high levels of wind and solar penetration. Earlier this year, ABB's CEO Joe Hogan said that renewables were one area where ABB saw a lot of room for expansion and growth. Powercorp was launched in 1988 to automate diesel generator power stations in remote northern Australia states. It soon turned its eye toward integrating wind power into the grid, using inverter technology to deal with grid instability caused by intermittent energy from the wind turbines. The systems allow for renewable penetration into diesel-powered grids up to 90 percent, according to the company's website. The company also uses flywheel energy storage for frequency and voltage stability in wind diesel grid projects and for the mining industry. The company says that it is also looking into using its flywheel, known as PowerStore, for solar diesel, rail and other industrial industries. ABB did not mention its interest in the flywheel specifically in the announcement, but a cost-effective flywheel would be a feather in its cap of offerings, if ABB could drive down the cost of building and operating flywheels for storage and/or frequency regulation. Beacon Power’s recent bankruptcy filing highlights some of the challenges with operation flywheels for large, grid-level projects. ABB’s buying spree in the past year has included the Dutch company Epyon B.V., a spin-off company from Delft University of Technology that provides DC fast-charging stations and the network software to support them; Mincom, which makes software for managing mining operations; Validus DC Systems, which provides DC power infrastructure for data centers and electric motor maker Baldor Electric for $4.2 billion. 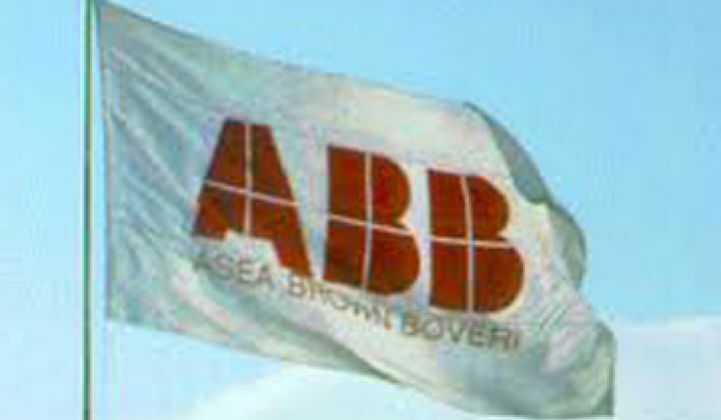 ABB leaped into software with a $1 billion acquisition of Ventyx in May 2010. ABB is jockeying for position with the other two European power electronics conglomerates, Schneider Electric and Alstom, all of which are trying to establish supremacy in the smart grid and renewables space. “I wouldn't be surprised by additional acquisitions in the near future as each company moves to build out a virtual power plant solution that improves renewable integration," said Geschickter.